We have our bravery and our bodies. We are working with @WagePeaceAu to disseminate our message as far and wide as possible. 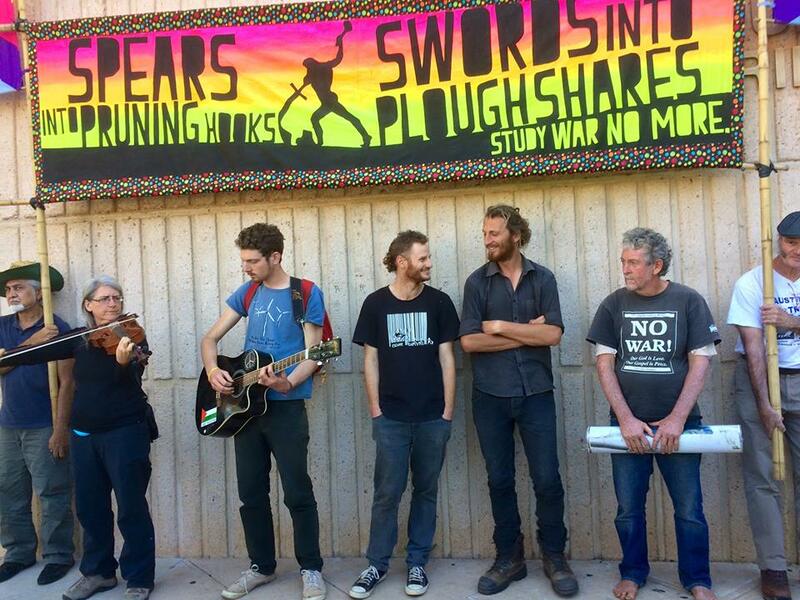 Their mission is to help us and other peace campaigns to disturb war & militarism in Australia. As part of our trip up to Alice we want to keep the dialogue around our action in the spot light. It’s necessary for more Australians to understand what Pine Gap is and the steps we’ve taken to close it.